Flexifoil's Rage is a highly versatile land kite suitable for beginners and advanced land kiters alike. You can confidently take the Rage out on your first session and before you know it you'll be tearing across the ground on a board or in a buggy! Designed to Flexifoil's usual high standards, the Rage has been optimised to offer exceptional control and stability in the air, as well as to generate the power and lift you'll need to excel yourself on the board or buggy. If traction kiting is where you're heading and style and power are how you're getting there, then look no further than the Rage from Flexifoil. The Rage has been built from the ground up to provide an exceptional ride, and give smooth and steady skill progression to the beginner kiter right up to the advanced. 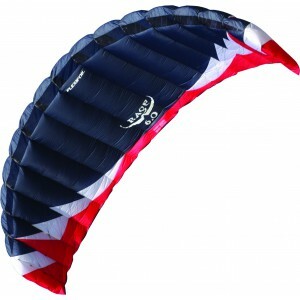 Ripstop Nylon Fabric Double coated ripstop nylon provide the Rage with unbeatable strength essential for traction kiting. Confidence in durability and build quality means you can push yourself that extra step further as a rider and the Rage will support you all the way. Leading Edge Gauze to maximise stability No expense was spared in the development of the Rage. We chose the leading edge gauze because after numerous prototypes were tested the gauze covered kites simply flew better! We strive for perfection to meet our passion in our kites and the little extra steps we?ve taken in developing the Rage have been well worth the expense. The Package includes kite sail, storage bag, full instructions and stickers. 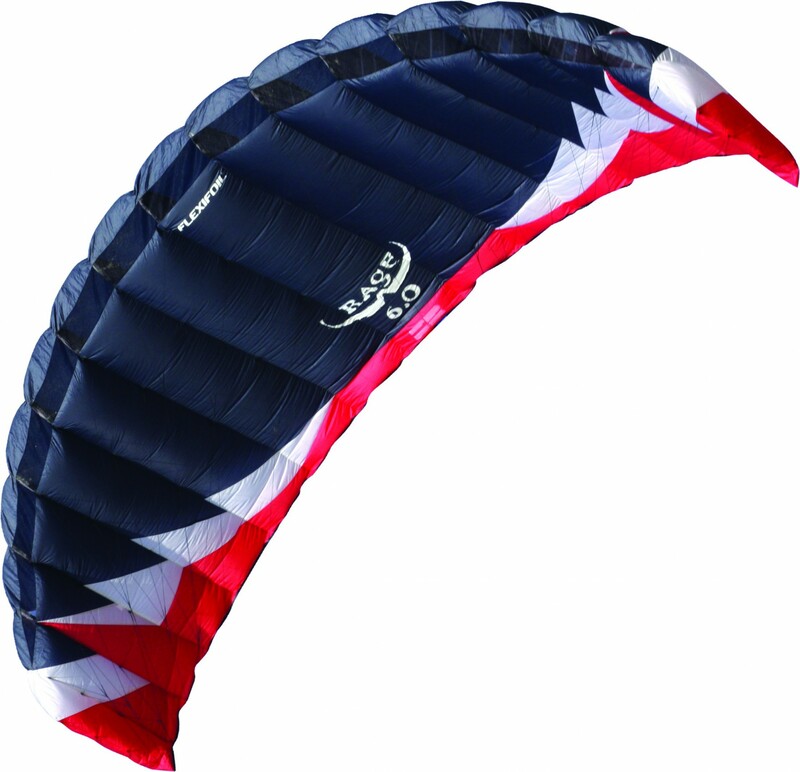 Reinforcements and Extra Strength With the Rage internal rib vent reinforcements strengthen the kite where it needs it the most, meaning a longer life for your Rage and a reduced chance of a blow-out in the event of a ground impact. The bridle line for the Rage is made from sleeved Dyneema. This has excellent strength and stretch properties which means the kite maintains its shape in the sky, even in strong wind conditions. We pre-stretch every metre of our bridle line in our factory to ensure that the constructional stretch is taken out of the line. In simple terms, this means a consistent flight from the first time you launch to the hundredth. Superb Consistency Across the Range We put the same dedication into our development across all sizes of kites, not just the ones that sell more. The rage has been optimised in each size to provide the same core characteristics in the sky so you can maintain your razor sharp skills for your unique riding style whatever the wind conditions.